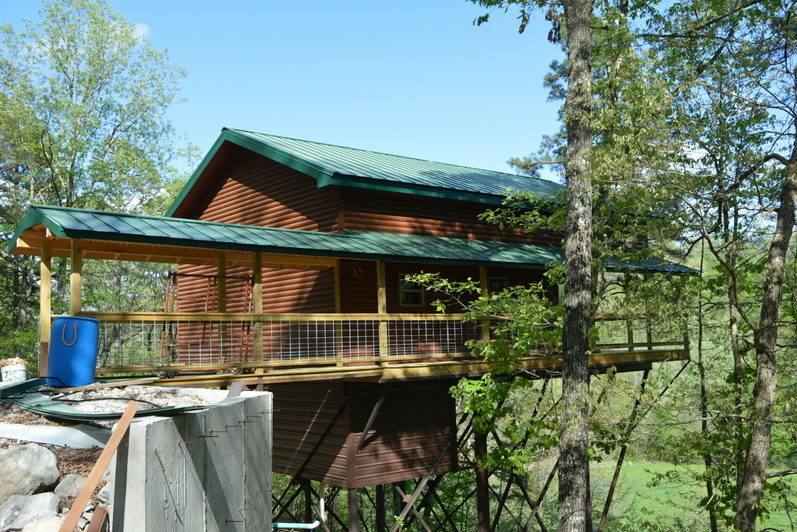 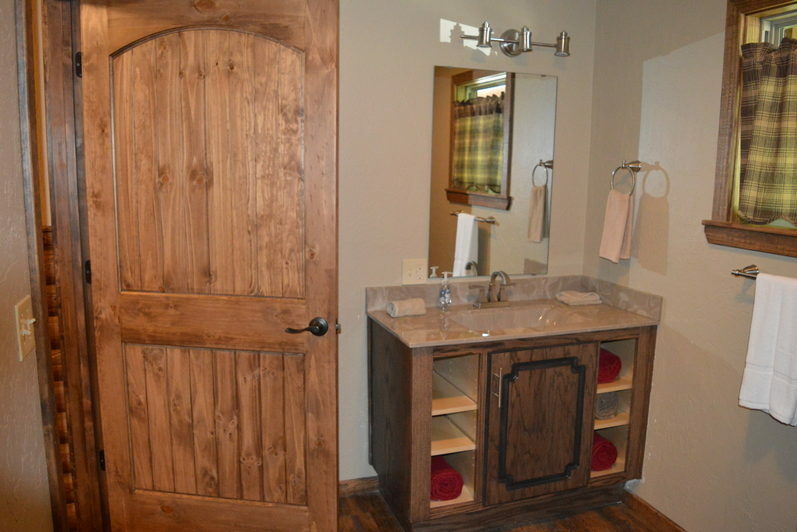 River of Life is excited to offer this brand new, luxurious, treehouse cabin in the Ozarks. 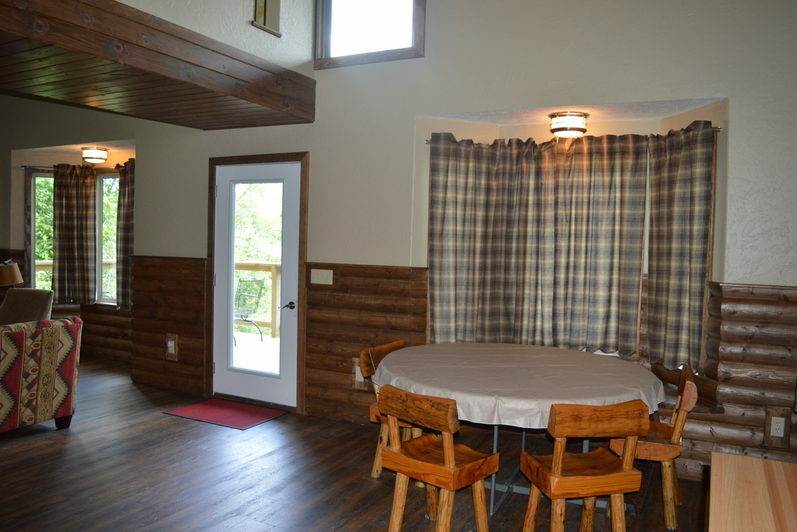 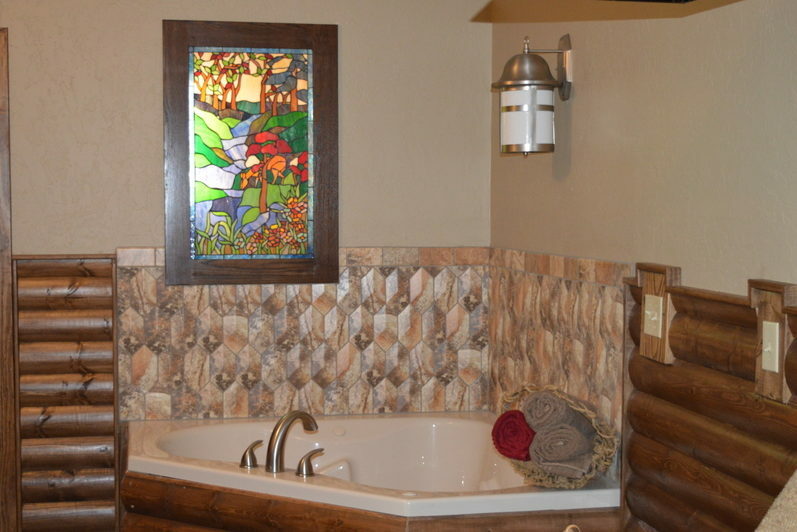 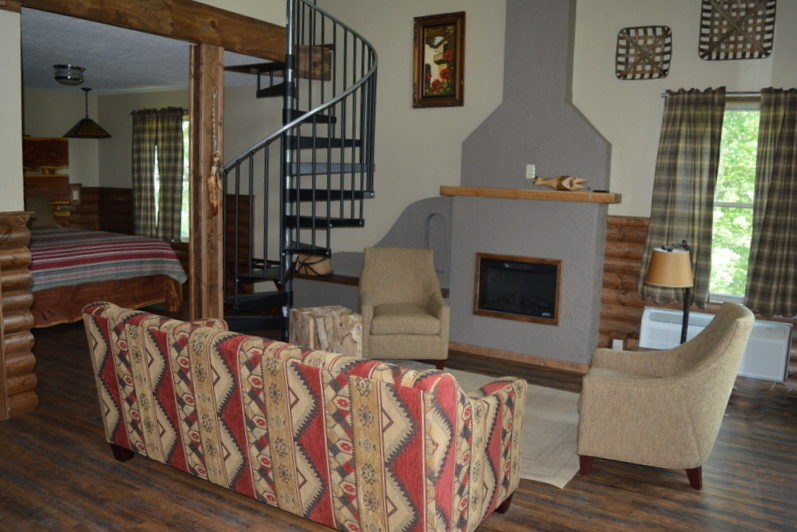 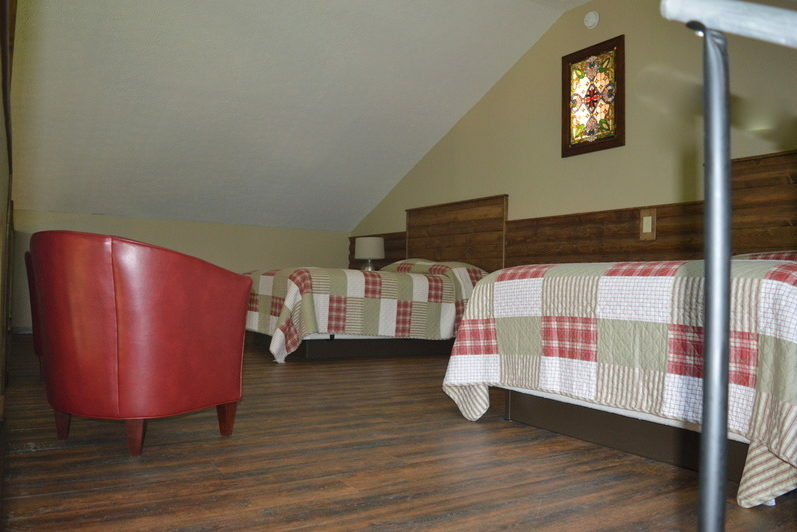 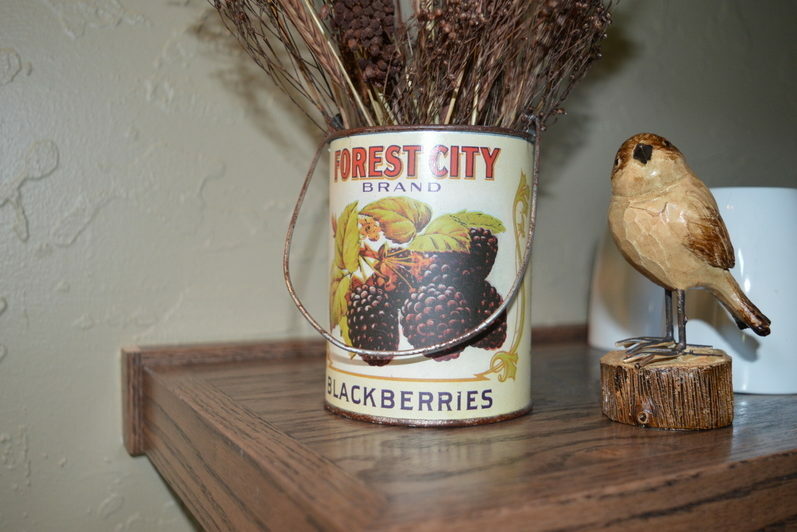 This cabin is situated in the beautiful Ozarks and open year round for reservations. 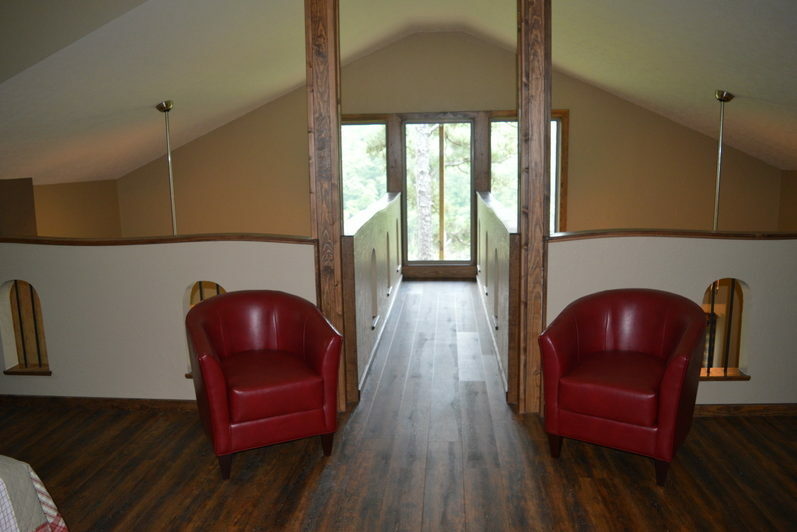 The open air deck offers an excellent view. 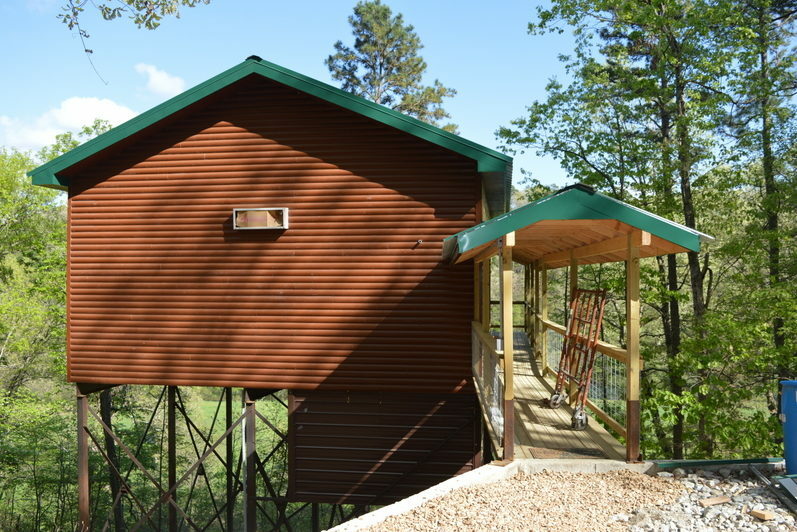 The luxuriously outfitted Rio Vista Cabin offers the perfect lodging for a relaxing vacation, a fly fishing excursion, or just a couple's getaway. 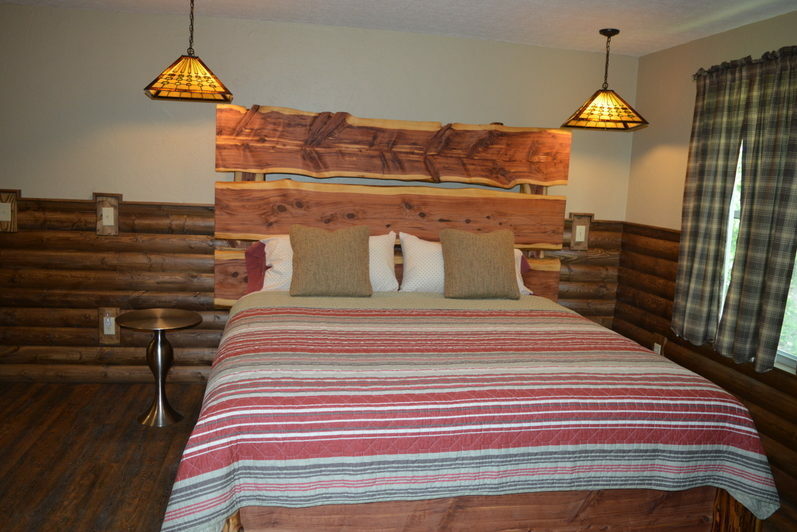 The Rio Vista Cabin sleeps up to 6, with 1 master bedroom (1 King size bed) and a loft bedroom (2 Queen size beds). 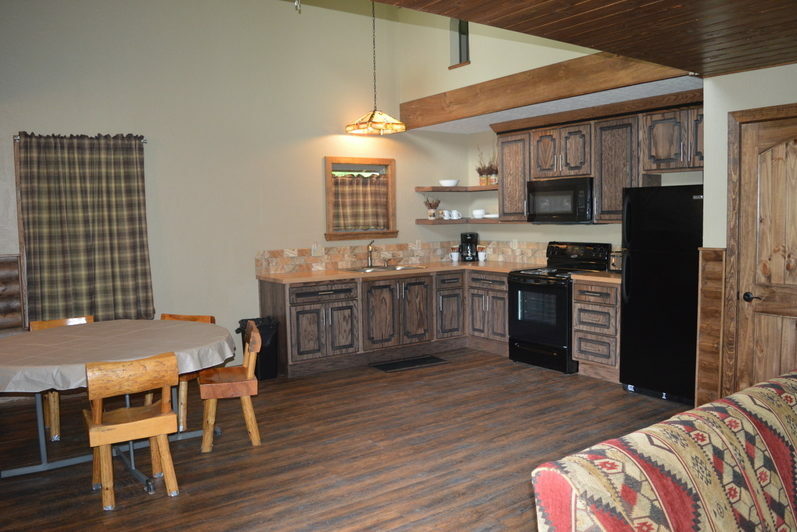 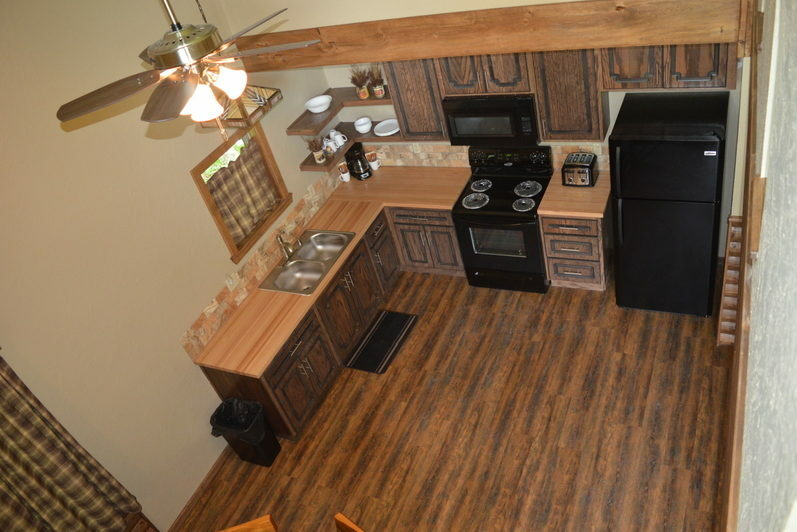 This cabin features a fully equipped kitchen, with a large refrigerator, microwave, stove, and coffee maker. 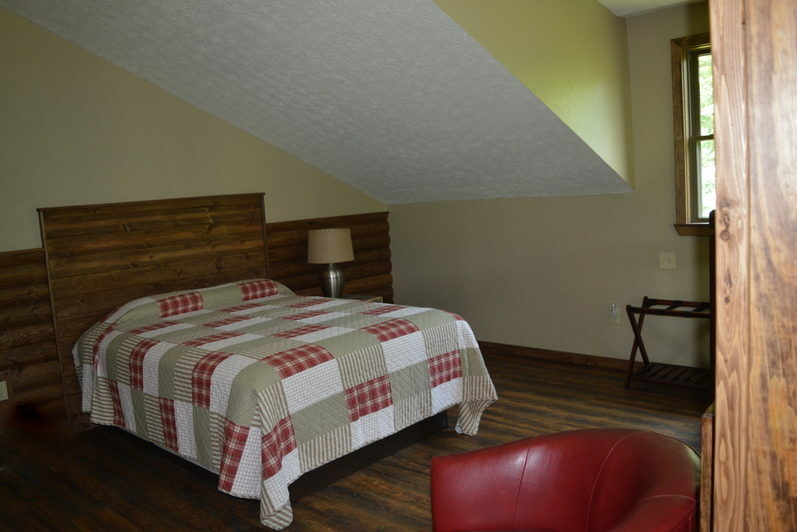 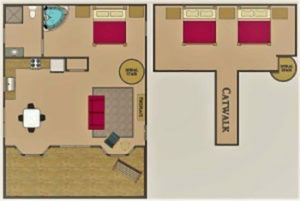 Heat for the winter, AC for the summer and ceiling fans will give you the comfort you desire. 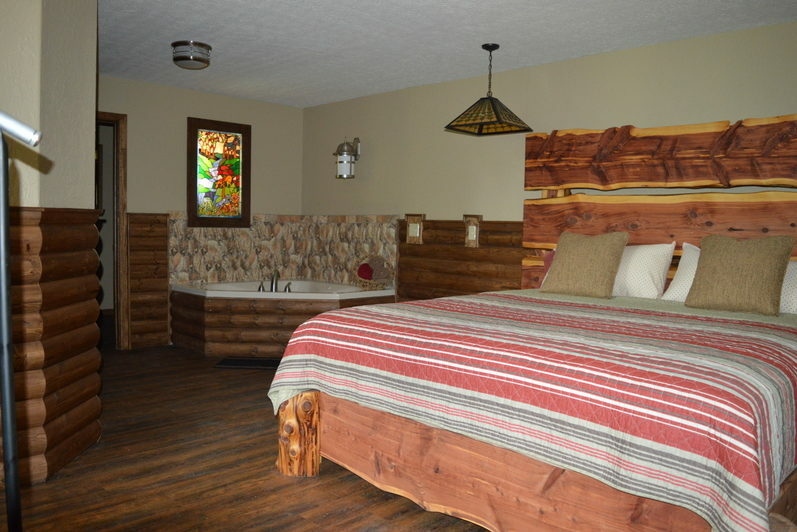 It also has an oversize whirlpool tub for your relaxation. 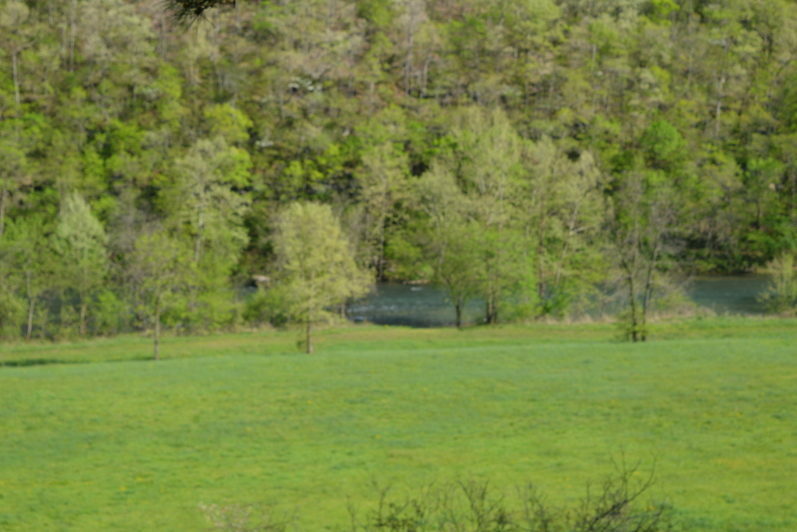 Access to the "miracle mile" of rainbow trout fishing, the finest in the Missouri Ozarks, is included. 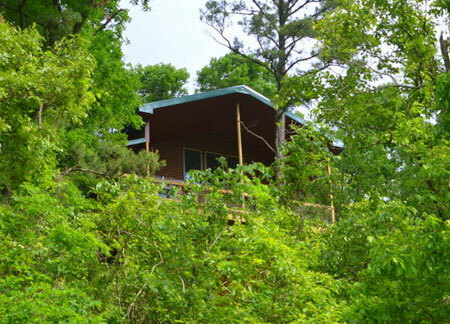 The ROLF grounds and next door Mark Twain National Forest offer numerous hiking and nature sightseeing trips for all skill levels. 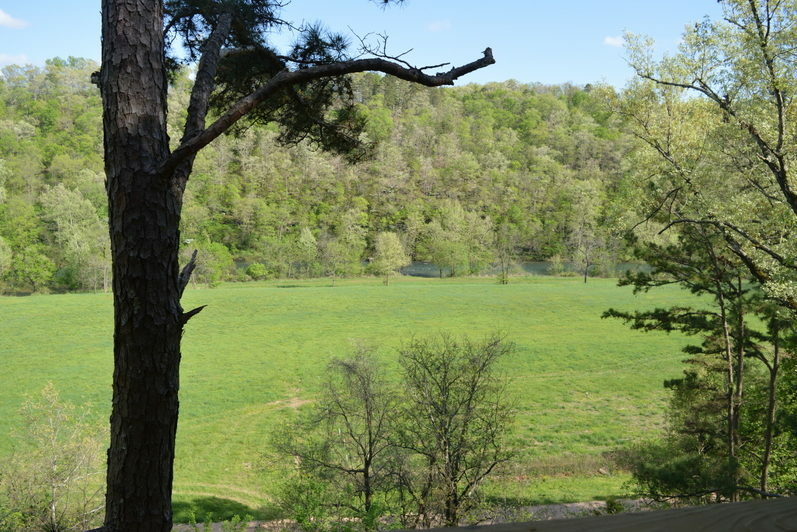 Plus, there are many Missouri sightseeing attractions nearby. 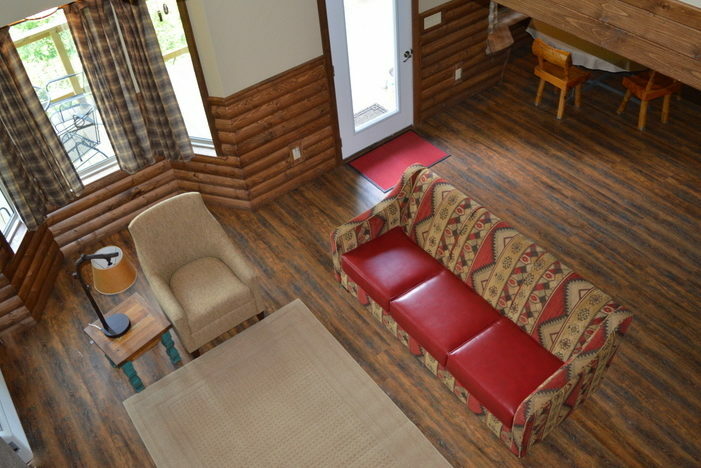 Plan a float trip down the North Fork River. 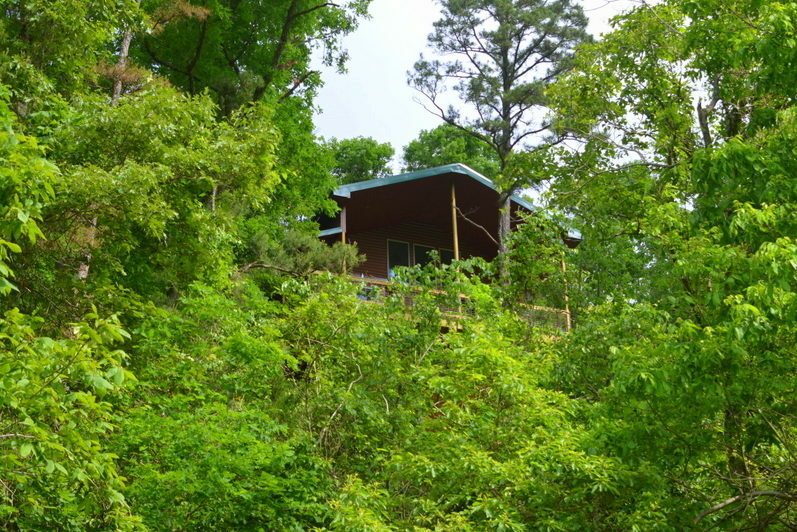 on weekends and holidays (4).